Changes or additions to the checklist information made within the last month are indicated in red. 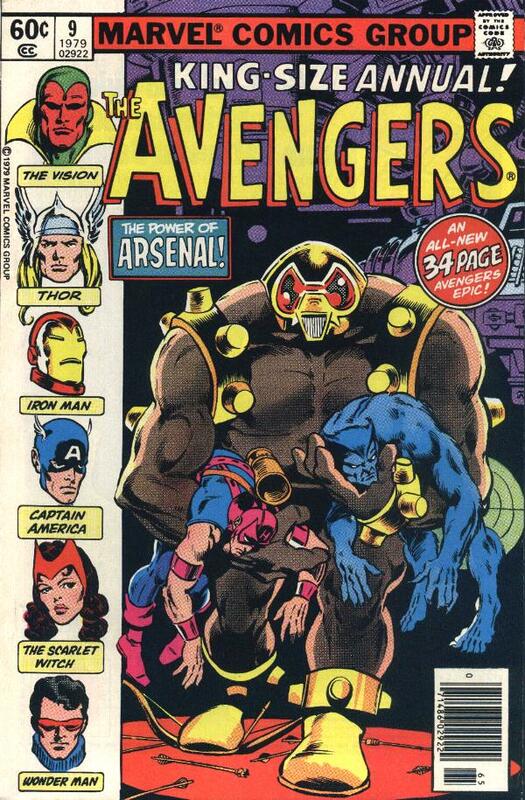 Avengers 204 02/81 A 22-page story, "Claws Across the Water!" written by Dave Michelinie, penciled by Don, and inked by Dan Green. Green turns out not to be a good inker for Don and except for a few figures here and there, Green manages to turn Don into your typical boring Marvel superhero artist. Avengers Annual 9 19/79 A 17-page story, "Something Deadly Lurks Below" written by Bill Mantlo, penciled by Don and inked by Joe Rubinstein and is beautiful. This also features Don's only pencil cover for Marvel, gloriously inked by Rubinstein. A 17-page story, "--Today the Avengers Die!" written by Bill Mantlo, penciled by Don and inked by Jack Abel. This is the only time Jack Abel inked Don and it is a pretty good thing as he is not a great inker for Don's style. Deadly Hands of Kung Fu 1 74 This Marvel black and white magazine has three pages with uncredited background inks by Don. Don inked the backgrounds on page 65, 67 and parts of 68. This book would be for the completist only as there is no outward indication that Don did any of the work here. The panels are rather plain. Ghost Rider 23 04/77 A 17-page story, "Wrath of the Water Wizard" written by Jim Shooter, penciled by Don Heck and inked by Don Newton. Giant-Size Defenders 3 01/75 A 32-page story, "Games Godlings Play!," plotted by Steve Gerber, Jim Starlin, and Len Wein, scripted by Steve Gerber, layouts by Jim Starlin, penciled and inked by Jim Mooney, Dan Adkins, and Don Newton. The issue features a guest appearance by Daredevil. This was supposed to be a Dan Adkins book (over Starlin's layouts), but when Dan ran out of time he asked Don and Jim Mooney to help. Don got his first credit line at Marvel for his work here, where he penciled 12 pages (14-19, 31-36 and 38) and some panels and figures on pages 39 and 44. He also did some inking on these pages. Don has said that he erased 90% of the Jim Starlin layouts on the pages he did. In my opinion, Don's pages are superior to the rest of the book. Giant-Size Master of Kung Fu 1 09/74 "Game of Death", written by Doug Moench, penciled by Paul Gulacy and inked by Dan Adkins. Don said he did the backgrounds on pages 16 and 17 and redrew the "Kung Fu" face on page 22, panel 2. Don's work is uncredited and done really to help Dan Adkins out with a deadline. Iron Man Annual 4 19/77 A 5-page filler story featuring Midnight (from Shang-Chi), "Death Lair!" written by Roger Stern, penciled by Jeff Aclin and inked by Don. This is obviously an artist "try out" piece as I have never heard of Mr. Aclin before. The art is pretty bland, mid-70 Marvel stuff, heavy on the John Buscema swipes. 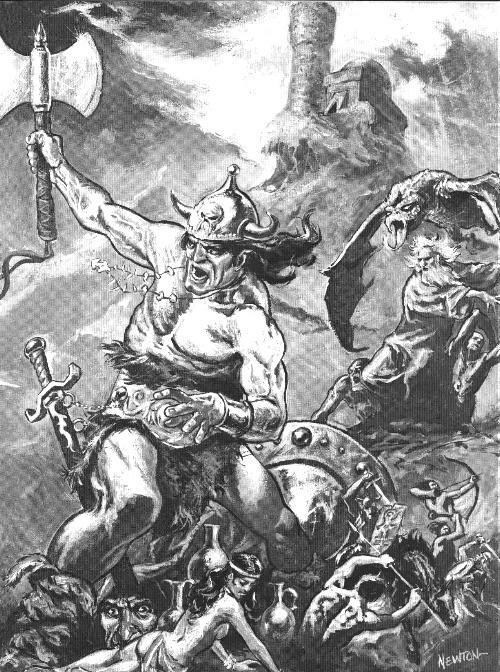 Savage Sword of Conan 6 06/75 Black and white frontispiece by Don, a painting used a number of times by G.B. Love.